April 29, 2006 – SAW: Angel defeats Maniac Martin and Nero in a 3-way match. May 13, 2006 – PHW: Angel defeated Nero in a dark match. May 20, 2006 – SAW: Marco Macc defeated Maniac Martin and Nero in a 3-way match. June 10, 2006 – SAW: Maniac Martin defeated Chris Envy and Nero in a 3-way match. June 11, 2006 – PLW: Nero defeated Angel and Maniac Martin in a 3-way match. July 8, 2006 – SAW: Nero defeated Marco Macc. August 13, 2006 – PLW: Chris Blackheart and Gary Gold defeated Maniac Martin and Nero. August 19, 2006 – SAW: Ian Daniels and Nick Peak defeated Maniac Martin and Nero. September 23, 2006 – PHW: Angel and Iron Eagle defeated Maniac Martin and Nero. September 30, 2006 – PLW: Don Vega defeated Vinny Nero. May 21, 2009 – PLW: Gino Giovanni defeated Vinny Nero. May 31, 2009 – PLW: Eric Dylan defeated Vinny Nero. June 28, 2009 – PLW: Chris Blackheart defeated Vinny Nero. July 19, 2009 – PLW: Chris Blackheart defeated Vinny Nero. August 9, 2009 – PLW: The Stroke (Gregory Edwards and Ryan Waters) defeated Magnerocent (Matt Magnum and Vinny Nero). October 4, 2009 – PLW: Nicholas Night defeated Vinny Nero. Brickhouse Baker, Kid Krazy and Masky McGraw defeated Davey Cash, Matt Storm, Mr. Munroe and Vinny Nero in a handicap match. October 23, 2009 – NECW: Vinny Nero defeated Matt Magnum in a dark match. November 6, 2009 – TRP: The Guy defeated Vinny Nero. November 21, 2009 – TRP: Matt Magnum, The Midnight Prowler #1 and Vinny Nero defeated The Alden Brothers (Eric Alden & Shane Alden) and Jay Jaillet. January 1, 2010 – TRP: TRP tag team champions The Midnight Prowlers (Midnight Prowler #1 and Midnight Prowler #2) defeated Johnny Angel and Vinny Marseglia, Eric and Shane Alden & Freight Train and Jay Jaillet in a 4-way tag team match to retain the titles. February 5, 2010 – TRP: TRP tag team champions The Midnight Prowlers (Midnight Prowler #1 and Midnight Prowler #2) defeated Johnny Angel and Vinny Marseglia to retain the titles. February 6, 2010 – TRP: Johnny Angel, Malice Mason & Vinny Marseglia defeated Buck Nasty & The Midnight Prowlers (Midnight Prowler #1 & Midnight Prowler #2). February, 21, 2010 – TRP: TRP tag team champions The Midnight Prowlers (Midnight Prowler #1 and Midnight Prowler #2) defeated Marco McAllister and Vinny Marseglia to retain the titles. April 11, 2010 – PLW: Vinny Marseglia defeated Matt Magnum. May 22, 2010 – JCW: JCW tag team champions Pauly and Vito Thomaselli defeated Matt Magnum and Vinny Marseglia to retain the titles. June 3, 2010 – PLW: The Prestige (Matt Magnum and Ryan Waters) defeated Buck Nasty and Vinny Marseglia. June 4, 2010 – TRP: Vinny Marseglia defeated Scott Reed. June 5, 2010 – TRP: Jim Neidhart and Vinny Marseglia defeated The Midnight Prowlers (The Midnight Prowler #1 and The Midnight Prowler #2 ). June 27, 2010 – PLW: Scott Levesque and Vinny Marseglia defeated The Prestige (Matt Magnum and Ryan Waters). July 9, 2010 – TRP: The Guy and Vinny Marseglia defeated The Prestige (Matt Magnum and Ryan Waters). July 10, 2010 – TRP: Vinny Marseglia defeated The Guy. Vinny Marseglia defeated Bob Evans. July 11, 2010 – TRP: Vinny Marseglia defeated Biff Busick. Matt Taven and Vinny Marseglia defeated Biff Busick and Matt Magnum. July 17, 2010 – TRP: Vinny Marseglia defeated Bob Evans. July 18, 2010 – PLW: Matt Taven and Vinny Marseglia defeated The Prestige (Matt Magnum and Ryan Waters). August 8, 2010 – PLW: Vinny Marseglia defeated Kevin Cordeiro and Matt Magnum in a 3-way match. August 20, 2010 – TRP: Vinny Marseglia defeated Danny Miles. August 21, 2010 – PLW: PLW heavyweight champion Don Vega defeated Vinny Marseglia to retain the title. September 25, 2010 – NECW: Scott Levesque defeated Vinny Marseglia. September 26, 2010 – TRP: Big Daddy Bravo, Lukas Sharp and Matt Magnum defeated The Gaw Family (Jared Gaw & Peter Gaw) and Vinny Marseglia. October 2, 2010 – NECW Tapings: NECW Undisputed Triple Crown champion Brandon Locke defeated Vinny Marseglia to retain the title. October 8, 2010 – TRP: Vinny Marseglia defeated Bob Evans in the 1st round. Vinny Marseglia defeated Tommaso Ciampa by disqualification in the semi-finals. Matt Taven defeated Vinny Marseglia to win the Killer Kowalski Cup. October 29, 2010 – DGUSA: Vinny Marseglia defeated Ryan Waters in a dark match. November 6, 2010 – NECW: Vinny Marseglia was in the #1 contenders gauntlet match for the Northeast heavyweight title won by Johnny Hayes. November 26, 2010 – TRP: Matt Magnum and Ryan Waters defeated Isys Ephex and Vinny Marseglia. December 3, 2010 – TRP: Matt Magnum and Ryan Waters defeated Gregory Edwards and Vinny Marseglia. Vinny Marseglia was also in the heavyweight title, battle royal won by Tommaso Ciampa. December 4, 2010 – NWA Liberty States: Vinny Marseglia defeated Buddy Romano, Matt Magnum and Owen Graichen in a 4-way match. January 21, 2011 – PWF: Scott Levesque defeated Vinny Marseglia. January 22, 2011 – NWA Liberty States: Matt Taven defeated Johnny Idol and Vinny Marseglia in a 3-way, semi-finals match. February 19, 2011 – TRP: Matt Taven and Vinny Marseglia defeated Robbie E and Tommaso Ciampa. April 16, 2011 – PWF: Vinny Marseglia defeated Kristian Frost. April 17, 2011 – PLW: JT Foxx defeated Vinny Marseglia and Zack Statik in a 3-way match. May 7, 2011 – PWF: Vinny Marseglia defeated Brendan Michael Thomas and Matt Magnum in a 3-way match to qualify for the PWF Northeast Lightning Cup. May 14, 2011 – EPW: Vinny Marseglia defeated Bob Evans. May 21, 2011 – NWA Liberty States: Vinny Marseglia defeated Bob Evans. May 22, 2011 – PLW: Vinny Marseglia defeated Brandon Webb and David Baker in a 3-way match. June 3, 2011 – TRP: Vinny Marseglia defeated Caleb Konley. June 10, 2011 – TRP: TRP Interstate champion Vinny Marseglia defeated Guy Alexander to retain the title. June 11, 2011 – PWF: Triplelicious defeats Brendan Michael Thomas, Dave Cole, Jason Blade, Kristian Frost and Vinny Marseglia in a 6-way, ladder match to win the vacant PWF Northeast Lightning Cup Title. July 8, 2011 – TRP: TRP Interstate champion Vinny Marseglia defeated Gino Giovanni to retain the title. July 9, 2011 – TRP: Vinny Marseglia and Matt Taven defeated Owen Graichen and Matt Magnum. TRP Interstate champion Vinny Marseglia defeated Mike Van Slyke to retain the title. July 10, 2011 – TRP: TRP Interstate champion Vinny Marseglia defeated Matt Magnum to retain the title. TRP Interstate champion Vinny Marseglia defeated Gino Giovanni to retain the title. July 29, 2011 – TRP: TRP Interstate champion Vinny Marseglia defeated Scott Reed to retain the title. July 30, 2011 – TRP: TRP Interstate champion Vinny Marseglia defeated Ryan Waters to retain the title. July 31, 2011 – TRP: TRP Interstate champion Vinny Marseglia defeated Matt Magnum to retain the title. August 5, 2011 – TRP: TRP Interstate champion Vinny Marseglia defeated Jason Blade to retain the title. August 13, 2011 – PWF: Vinny Marseglia defeated Matt Magnum. September 18, 2011 – TRP: Vinny Marseglia defeated Nick Westgate. September 24, 2011 – PWF: Northeast Lightning Cup champion Triplelicious defeated Colby Corino, Jose Perez, JT Dunn, TJ Richter and Vinny Marseglia in a 6-way match to retain the title. September 30, 2011 – TRP: TRP Interstate champion Vinny Marseglia vs. Scott Reed ended in a double count-out to retain the title. October 7, 2011 – TRP: Vinny Marseglia defeated Mike Bennett in the 1st round. Vinny Marseglia defeated Brian Anthony in the semi-finals. Matt Magnum defeated Vinny Marseglia to win the Killer Kowalski Cup. October 22, 2011 – PWF: Bob Evans defeated Vinny Marseglia. November 5, 2011 – TRP: Jason Blade defeated Vinny Marseglia to win the TRP Interstate title. November 11, 2011 – DGUSA: BJ Whitmer defeated Vinny Marseglia. December 3, 2011 – Liberty States: Johnny Cromwell defeated Brandon Webb, Gunar Rowe and Vinny Marseglia in a 4-way, ladder match. December 10, 2011 – XWA: Brandon Webb defeated Bob Evans, Dr. Heresy and Vinny Marseglia in a 4-way match. January 1, 2012 – TRP: Bob Evans defeated Vinny Marseglia. January 7, 2012 – PWF: John Poe defeated Vinny Marseglia. January 28, 2012 – Liberty States: Vinny Marseglia defeated Liberty States heavyweight champion Todd Sople by disqualification. Todd Sople retains. February 17, 2012 – TRP: Vinny Marseglia defeated Owen Graichen. February 18, 2012 – PWF: Team PWF Northeast (Jose Perez, TJ Richter and Vinny Marseglia) defeated Team TWA (Rudy Boy Gonzales & Texas Tornados (Galan Ramirez and Jacob Kilgore)). March 3, 2012 – PWF: Vinny Marseglia defeated JT Dunn. March 16, 2012 – PWF: PWF Northeast Lightning Cup champion Triplelicious defeated JT Dunn and Vinny Marseglia in a 3-way match to retain the title. April 6, 2012 – TRP: Vinny Marseglia defeated Bob Evans. April 26, 2012 – CW: Guy Alexander and Johnathan Primer defeated Frankie Flash, PC Cruz and Vinny Marseglia in a handicap match. April 28, 2012 – ROH TV (Taped): Rhino defeated Vinny Marseglia. May 5, 2012 – PWF: Vinny Marseglia defeated Bob Evans. May 18, 2012 – TRP: TRP heavyweight champion Matt Magnum defeated Vinny Marseglia to retain the title. June 1, 2012 – FSW: Ryan Bisbal defeated Vinny Marseglia. June 2, 2012 – NEW: Romeo Roselli defeated Vinny Marseglia. June 24, 2012 – CW: Max Bauer defeated Vinny Marseglia. June 29, 2012 – TRP: Vinny Marseglia defeated Max Bauer. July 12, 2012 – TRP: Guy Alexander and Vinny Marseglia defeated Gregory Edwards and The Professor. July 13, 2012 – TRP: Vinny Marseglia defeated Matt Magnum. Vinny Marseglia defeated Mike Bradley. July 14, 2012 – TRP: TRP heavyweight champion Matt Taven defeated Vinny Marseglia and Matt Magnum in a 3-way match to retain the title. July 14, 2012 – TRP: Colossus and Vinny Marseglia defeated Kevin Perry and Matt Magnum. July 15, 2012 – TRP: Kevin Perry defeated Vinny Marseglia. Vinny Marseglia defeated Bob Evans. Vinny Marseglia defeated Johnny Cromwell. July 28, 2012 – TRP: Vinny Marseglia defeated Dickie Rodz. Vinny Marseglia defeated John Munroe. July 29, 2012 – CHIKARA: ACH defeated Aaron Epic, JT Dunn and Vinny Marseglia in a 4-way, 1st round, elimination match. August 3, 2012 – TRP: Matt Hardy defeated Brandon Webb, Jason Blade and Vinny Marseglia in a 4-way match. August 11, 2012 – ROH Boiling Point: QT Marshall defeated Antonio Thomas, Matt Taven and Vinny Marseglia in a 4-way match. August 12, 2012 – PWE: Matt Taven defeated Scott Reed and Vinny Marseglia in a 3-way, 1st round match. August 19, 2012 – CW: Vinny Marseglia defeated Mark Shurman. August 24, 2012 – TRP: Vinny Marseglia defeated Scotty Slade. September 8, 2012 – PWF: PWF Northeast Lightning Cup champion Biff Busick defeated Mike Bennett, Triplelicious and Vinny Marseglia in a 4-way match to retain the title. October 6, 2012 – PWF: Vinny Marseglia was in a 10 man gauntlet match to determine the #1 contender for the Unified heavyweight title won by Hanson. October 12, 2012 – TRP: Vinny Marseglia vs. Kevin Perry ended in a time limit draw. November 10, 2012 – TRP: Vinny Marseglia defeated Kevin Perry in the 1st round. Vinny Marseglia defeated Mike Bennett in the semi-finals. Vinny Marseglia defeated Nick Steel to win the Killer Kowalski Cup. December 1, 2012 – PWF: Vinny Marseglia defeated David Baker and Kid Reflex in a 3-way match to qualify for the PWF Northeast Lightning Cup Title match. December 6, 2012 – PWE: Conner Murphy defeated Champ Mathews, Jimmy Jacobs and Vinny Marseglia in a 4-way steel cage match. December 15, 2012 – ROH TV (Taped): Davey Richards defeated Vinny Marseglia. January 18, 2013 – CW: Vinny Marseglia defeated Dave Cole. January 26, 2013 – PWF: Vinny Marseglia defeated Jason Blade. February 22, 2013 – PWF: Vinny Marseglia defeated Mike McCarthy and Biff Busick in a 3-way match to win the PWF Northeast Lightning Cup Title. March 1, 2013 – CW: Elia The Great defeated Alex Arion, Scott Reed and Vinny Marseglia in a 4-way match to win the vacant New England title. March 15, 2013 – CW: CW New England champion Elia The Great defeated Vinny Marseglia to retain the title. March 17, 2013 – XWA: Vinny Marseglia defeated Jeremy Prophet. March 22, 2013 – NECW: Elia Markopoulos defeated Vinny Marseglia. April 6, 2013 – NAOTW: Zachary Pierre Beaulieu defeated Vinny Marseglia. 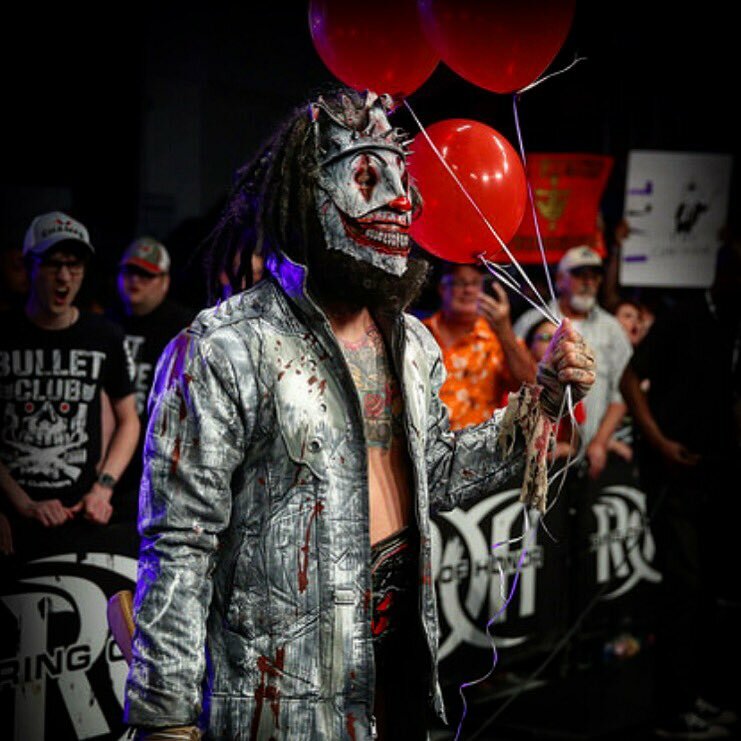 April 19, 2013 – TRP: Vinny Marseglia defeated Matt Taven by count-out. May 3, 2013 – CW: Scott Reed defeated Vinny Marseglia. May 4, 2013 – CW: Brandon Scott defeated Vinny Marseglia. May 11, 2013 – ROH Dragon’s Reign: Tommaso Ciampa defeated Vinny Marseglia. May 17, 2013 – TRP: TRP Interstate champion Kevin Perry defeated Vinny Marseglia to retain the title. May 17, 2013 – XWA: Vinny Marseglia defeated Jeremy Prophet by disqualification. June 7, 2013 – CW: Mikey Webb defeatd Alex Arion, Jimmy James, MPG, Slyck Wagner Brown and Vinny Marseglia in a gauntlet match to win the vacant New England title. June 21, 2013 – TRP: Vinny Marseglia defeated Caleb Konley. June 28, 2013 – TRP: Vinny Marseglia defeated Matt Magnum. July 12, 2013 – TRP: Matt Magnum defeated Vinny Marseglia. July 13, 2013 – TRP: Vince Beach defeated Vinny Marseglia. July 14, 2013 – TRP: Anthony Greene and Vinny Marseglia defeated Jimmy Preston and Vince Beach. Vinny Marseglia defeated Jimmy Preston. July 19, 2013 – CW: Vinny Marseglia defeated Elia the Great in the 1st round. August 11, 2013 – PWF: PWF Universal heavyweight champion Jason Blade defeated Vinny Marseglia to retain the title. August 16, 2013 – CW: Todd Hanson defeated Vinny Marseglia in the semi-finals. August 17, 2013 – TRP: TRP heavyweight champion Biff Busick defeated Vinny Marseglia in a steel cage match to retain the title. August 24, 2013 – ROH TV (Taped): Brian Fury defeated Kongo, Todd Hanson and Vinny Marseglia in a 4-way match. September 6, 2013 – TRP: Nick Steel defeated Vinny Marseglia. September 13, 2013 – TRP: TRP heavyweight champion Nick Steel defeated Vinny Marseglia in a best 2 out of 3 falls match to retain the title. September 27, 2013 – TRP: TRP heavyweight champion Nick Steel vs. Vinny Marseglia ended in a double disqualification to retain the title. October 12, 2013 – LPW: Jason Blade defeated Vinny Marseglia. October 19, 2013 – XWA: Vinny Marseglia defeated Hanson to become #1 contender for the XWA title. November 22, 2013 – XWA: XWA champion Kristian Frost defeated Vinny Marseglia to retain the title. November 28, 2013 – TRP: Team Marseglia (Gregory Edwards, Kevin Perry, Ryan Waters and Vinny Marseglia) defeated Team Steel (Brandon Webb, Matt Taven, Nick Steel and Todd Hanson) in a tag team elimination match. December 27, 2013 – TRP: Vinny Marseglia won a #1 contenders battle royal for the heavyweight title. 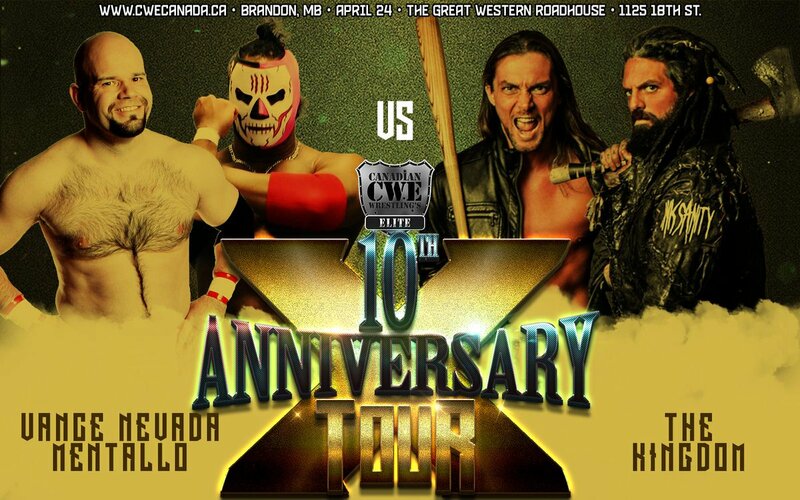 January 17, 2014 – CW: Matt Taven and Vinny Marseglia defeated Adam Booker and Brad Hollister. January 18, 2014 – XWA: XWA champion Kristian Frost defeated Vinny Marseglia to retain the title. February 7, 28, 2014 – CW: CW tag team champions Bryan and Matt Logan defeated Vinny Marseglia and Matt Taven to retain the titles. March 21, 2014 – CW: Brandon Locke and Scott Reed defeated Matt Taven and Vinny Marseglia & Bryan and Matt Logan in a 3-way tag match to win the tag team titles. March 28, 2014 – LPW: Brian Fury defeated Vinny Marseglia. April 17, 2014 – TRP: TRP heavyweight champion Vinny Marseglia defeated Ryan Waters to retain the title. April 18, 2014 – ROH Future of Honor #1: Jimmy Nutts, Nick Blackwell and Vinny Marseglia defeated Ken Phoenix, Sam Shields and Tim Donst. May 16, 2014 – TRP: Matt Taven and Vinny Marseglia defeated Brandon Locke and Scott Reed & Mark Shurman and Scotty Slade in a 3-way tag team match to win the tag team titles. May 30, 2014 – CW: CW tag team champions Matt Taven and Vinny Marseglia defeated Mikey Webb and Julian Starr to retain the titles. June 7, 2014 – ROH TV (Taped): Jay Diesel, Moose and Vinny Marseglia defeated Bill Daly, Will Ferrara and Zizou Middoux. July 18, 2014 – TRP: TRP heavyweight champion Vain defeated Vinny Marseglia to retain the title. August 1, 2014 – TRP: Gregory Edwards, Mark Shurman and Vain defeated Mark Magnum, Ryan Waters and Vinny Marseglia. January 2, 2015 – TRP: Craig Costa, Vain and Vinny Marseglia defeated Don Vega, Kongo and Sean Burke. February 7, 2015 – NEW: Dan De Man defeated Chris Battle, Jason Blade, Mikey Webb and Vinny Marseglia in a 5-way elimination match. March 6, 2015 – Boston Wrestling Marathon: Vinny Marseglia defeated Sean Burke. March 13, 2015 – TRP: Vinny Marseglia defeated Mike McCarthy. June 27, 2015 – XWA: Vinny Marseglia defeated Jason Blade by disqualification. September 20, 2015 – XWA: Vinny Marseglia defeated TK O’Ryan. October 16, 2015 – TRP: Vinny Marseglia defeated Craig Costa in the 1st round. Vinny Marseglia defeated Matt Magnum in the semi-finals. Vinny Marseglia defeated Kongo to win the Killer Kowalski cup. October 25, 2015 – Beyond Secret Show: Ted Goods defeated Vinny Marseglia. November 1, 2015 – XWA: TK O’Ryan defeated Brick Mastone, Devin Blaze, Lio Rush, Travis Gordon and Vinny Marseglia in a 6-way match. December 12, 2015 – NEW: Vinny Marseglia defeated Damian Adams. January 15, 2016 – CW: CW New England champion Brandon Scott defeated Vinny Marseglia to retain the title. January 30, 2016 – NEW: Vinny Marseglia was in the heavyweight title royal rumble match won by Brian Anthony. February 13, 2016 – KPW: Ethan Page defeated Vinny Marseglia. February 27, 2016 – LPW: Christian Casanova defeated Vinny Marseglia. March 5, 2016 – NEW: Michael Bennett defeated Vinny Marseglia. March 18, 2016 – TRP: Nick Steel defeated Chuck O’Neil and Vinny Marseglia in a 3-way match to become #1 contender for the heavyweight title. March 26, 2016 – KPW: Vinny Marseglia defeated Anthony Gangone. April 16, 2016 – NEW: Brian Anthony defeated Vinny Marseglia. April 30, 2016 – ROH Conquest Tour: Jay Lethal defeated Vinny Marseglia to retain the ROH World title. May 7, 2016 – NEW: Frankie Arion and Vinny Marseglia defeated Scotty Slade and Mark Shurman to win the tag team titles. May 14, 2016 – LPW: Randy Shawn defeated Vinny Marseglia to retain the LPW heavyweight title. May 28, 2016 – KPW: Kamaitachi defeated Vinny Marseglia. June 4, 2016 – NEW: The Hardys (Jeff Hardy and Matt Hardy) defeated TK O’Ryan and Vinny Marseglia. June 10, 2016 – EPW: Vinny Marseglia defeated Dylan Bostic by disqualification. Bob Evans, Jeff DeLand, Mike Bennett, Taeler Hendrix and Vinny Marseglia defeated Dylan Bostic, Kongo, Nick Westgate, Ray Lyn and TK O’Ryan. June 11, 2016 – NEW: TK O’Ryan defeated Brian Anthony, Dan De Man and Vinny Marseglia in a 4-way match to become #1 contender for the heavyweight title. June 16, 2016 – CW: TK O’Ryan and Vinny Marseglia defeated Viva Las Vegas (Angelico Guardian and Johnny Vegas) in the semi-finals. June 17, 2016 – CW: The American Destroyers (Donovan Dijak & Mikey Webb) defeated Da Hoodz (Davey Cash & Kris Pyro) & TK O’Ryan and Vinny Marseglia in a 3-way tag team match to win the Mill City Hooligans Invitational Tag Team Tournament. July 9, 2016 – NEW: Adrenaline Rush (Daniel Evans and Keith Gordon) defeated Brad Hollister and Vinny Marseglia. August 25-26, 2016 – NEW: Matt Hardy defeated Vinny Marseglia. August 28, 2016 – NEW: Vinny Marseglia defeated Caleb Konley. September 18, 2016 – XWA: David Starr defeated Vinny Marseglia. September 24, 2016 – OPW: Gran Akuma defeated Vinny Marseglia. October 8, 2016 – NEW: Vinny Marseglia defeated Dan Barry. November 5, 2016 – NEW: Hanson defeated Vinny Marseglia. November 12, 2016 – NEW: Vinny Marseglia defeated Keith Youngblood in the 1st round. Travis Gordon defeated Vinny Marseglia to win the King of Bethany. November 27, 2016 – XWA: Sami Callihan defeated Vinny Marseglia by disqualification. December 10, 2016 – NEW: Vinny Marseglia defeated JT Dunn. January 20, 2017 – XWA: Vinny Marseglia was in the Xtreme rumble won by Rude Boy Riley. March 3, 2017 – NEW: Travis Gordon defeated Brad Hollister and Vinny Marseglia in a 3-way match. March 4, 2017 – ROH Manhattan Mayhem: Vinny Marseglia was in the #1 contenders battle royal for the world title won by Matt Taven. March 18, 2017 – NEW: Matt Hardy defeated Vinny Marseglia. March 26, 2017 – XWA: Vinny Marseglia defeated JT Dunn. April 15, 2017 – NEW: Vinny Marseglia defeated Chuck O’Neil. April 29, 2017 – ROH Masters Of The Craft: Vinny Marseglia defeated Shaheem Ali. May 10, 2017 – ROH/NJPW War Of The Worlds: Christopher Daniels defeated Matt Taven to retain the world title. June 25, 2017 – NEW: Vinny Marseglia defeated JT Dunn. July 14, 2017 – NEW: Vinny Marseglia vs. Hale Collins ended in a double count-out. July 15, 2017 – NEW: Cody Rhodes defeated Vinny Marseglia to retain the NEW heavyweight title. August 25, 2017 – NEW: The Kingdom (TK O’Ryan and Vinny Marseglia) defeated Brad Hollister and Wrecking Ball Legursky. September 9, 2017 – PVP: Vinny Marseglia defeated Brad Hollister by disqualification. November 7, 2017 – ROH TV (Taped): The Kingdom (TK O’Ryan and Vinny Marseglia) defeated Coast 2 Coast (Leon St. Giovanni and Shaheem Ali) & Rhett Titus and Will Ferrara in a 3-way tag team match. November 18, 2017 – ROH Survival Of The Fittest: Jonathan Gresham defeated Vinny Marseglia in the 1st round. December 1, 2017 – NEW: Adrenaline Rush (Daniel Evans and Keith Youngblood) defeated The Kingdom (TK O’Ryan and Vinny Marseglia) & The NOW (Hale Collins and Vik Dalishus) in a 3-way tag team ladder match to win the tag titles. December 17, 2017 – NEW: Vinny Marseglia defeated Cam Zagami in the 1st round. Brian Anthony defeated Vinny Marseglia in the semi-finals of the King Of Bethany tournament. November 16, 2018 – CWE: The Kingdom (Matt Taven, TK O’Ryan and Vinny Marseglia) defeated Mentallo, Rekka and Roy Flash Gordon to retain the World 6 man tag team titles. Vinny Marseglia won the #1 contender battle royal for the CWE title. November 18, 2018 – CWE: Danny Duggan defeated Vinny Marseglia by disqualification to retain the CWE title. November 20, 2018 – CWE: Vinny Marseglia defeated Jimmy Jacobs. November 21, 2018 – CWE: Vinny Marseglia defeated Justin Lock. January 26, 2019 – ROH Road To G1 Supercard: Jay Lethal defeated Vinny Marseglia to retain the ROH World title. @dailywrestlingp @MattTaven @ringofhonor @MattTaven @TheHorrorKingVM and @WildHorseTKO most likely have more female fans then males. @IanRiccaboni @WALUnderground @ringofhonor @PCOisNotHuman @MattTaven @WildHorseTKO @RealJeffCobb @darewolf333 @RhettTitusANX @TheHorrorKingVM @WIncRebel #GoldenBoner #GoldenBoner #GoldenBoner Sorry, someone has to get it rolling! @IanRiccaboni @WALUnderground @ringofhonor @PCOisNotHuman @MattTaven @WildHorseTKO @RealJeffCobb @darewolf333 @RhettTitusANX @TheHorrorKingVM @WIncRebel welcome back to Pittsburgh!